Marvel And Star Wars Comics Sale at Amazon! I know, we do this a lot. Push digital comics sales. And sometimes it’s when there’s only a little bit of time left. But if you read digital comics — and you should — there are some sweeeet deals to be had. Only valid on December 29, 2017, so hurry up. Here’s the general link. Specific suggestions follow. Man did I love these comics. An actual modern take on the “kid gets powers, has no idea how to deal with them” story. Plus it focuses on a culture that I know very little about. Give it a try. The movie is coming out soon, and this is way cheaper than spending $450 on the hardcover. Hulk mad, but Hulk SMART. Hulk mad and smart is very dangerous for those he is mad at. And oh, is he PISSED. This was a pleasant surprise. Hawkeye buys a brownstone in Brooklyn and he’s blind, I think. It really wasn’t what I expected at all. Plus the art is genuinely different and overall very awesome. 80 CENTS! FOR ONE OF THE BEST COMICS EVER! JUST BUY IT! Vader in modern comic book form is highly intriguing. Think about it. What do we know about him, really? I don’t mean Spongebob Whinypants from the prequels, I mean VADER. What’s he like? These comics offer some insight. Just hit the link below and explore. Shop. Today only. December 29, 2017. May the force be with you, True Believers. If Marvel’s Characters Can’t Suffer Long Term Loss, What’s The Point? Wonder Woman may be all the rage at movie theaters right now, but Marvel is ruling the roost (what does that even mean?) when it comes to digital comics. Why? Big sale! Read on, true believers. When I say “sale” I do mean sale. Like, these are some super cheapo prices for Marvel digital comics. No idea how long these prices will last. First up — X-Men Epic Collection: Second Genesis. This is the beginning of the X-Men that most people know and love, the team with Colossus and Storm and Nightcrawler. Also Banshee, but he doesn’t last that long, which is too bad because I like him. Wolverine joins soon after, and we all know how popular that guy is. Bottom line: 528 pages for $3.40. SERIOUSLY. Go buy now. Next — God Loves, Man Kills. This is a famous comic (technically Graphic Novel, since it has the “Marvel Graphic Novel #5” tag) that I don’t think I’ve read. I will now though, because it’s 96 pages for 80 cents. Marvel’s “Avengers: Infinity War” movie comes out in 2018 (!!!) but before that you can read the comics the movie is based on. First up is Infinity Gauntlet (1991) and then Infinity War (1992). “Gauntlet” is 256 pages for $2.20, “War” is 400 pages for $4.00. Marvel’s first ever Graphic Novel, The Death of Captain Marvel, might be the best comic of its era. Why? Because it is about what the title says. No more no less. I have this digital edition already and I can honestly say it is amazing in every way. Written and drawn by Jim Starlin, this is a serious book without being maudlin. And Marvel has managed to keep Marv dead all these years, which is impressive. (Carol Danvers, the original Ms. Marvel, now goes by Captain Marvel, and she’s the one you’ll be seeing on the big screen in 2019. If you have no idea what that sentence means don’t worry about it.) Bottom line: 128 pages for 80 cents, one of the best comics ever. GO BUY NOW. There’s a ton more digital comics for sale. I’ll add to this list when I can. Click the links and just go exploring. Or just check out Amazon’s top sellers in Comics and Graphic Novels, which at the moment are all Marvel stuff because of the sale. Remember, I have no idea how long the sale is going on, so don’t get mad at me if you click and find out the price has gone up. Buy now! Now now now! That’s I’m gonna do. Not going to say much about this because you don’t have much time to buy it if you want it. Here’s the DaddyDeal from Amazon — all 7 X-men movies for only $31.98. Free shipping. Deal expires November 15 just before midnight. Your mileage may vary. Disclaimer disclaimer disclaimer. That’s where I come down on the issue (if issue there be). 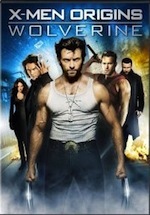 Getting all of the X-movies for such a low price is a great deal. I bought it. You should buy it before the price goes back up. Which is kinda soon. So do it already! 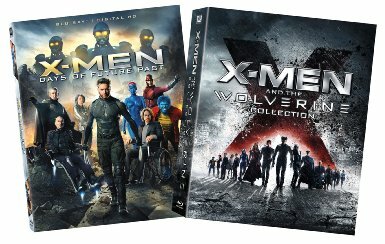 Amazon.com: X-Men: Days of Future Past and Wolverine Collection [Blu-ray]: Movies & TV. – All are available via Netflix unless otherwise indicated. – Titles listed may suddenly become unavailable… or even better, new titles may show up. Such as Batman Beyond and Justice League which are now on Netflix. The greatness of this fact cannot be overstated. – This page may be updated when new shows are added. I’m also going to make a different page for live action superhero programming. Because I’m cool like that. And I have a Geek Gold Card. – This may shock some of you, but I have something to say about every single one of these shows. Therefore I will write posts for each entry as time permits. Check back for updates. This is one of the strangest lines I’ve ever seen in a story. From something called My Park Magazine comes a story about Hugh Jackman possibly doing a movie with Miley Cyrus. But they are careful to point out that the married Mr. Jackman is not, well, doing Miley Cyrus. If you know what I mean. 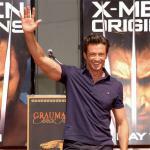 “X-Men Origins: Wolverine” made big bucks in theaters, so naturally the next step is… a musical. eBates Deals — Get Cash Back When You Shop. Seriously. It's good stuff.